'new one' why Two sets of thread opened up instead just one? I even wait for 60 seconds but something sticky happen which should fix by site co-ordination or Moderator. 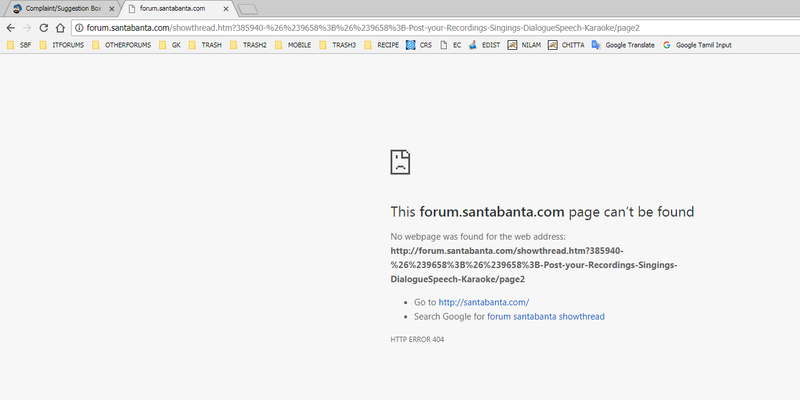 I still not believes why we have page after page with dead link,'' video not available' etc. Give the link of the thread u want to delete. . . . The thread title with Special Characters seems not decoded properly ... So the thread not opening in Chrome and Firefox ( In all Browsers Generally )..
Issue: Curly brackets in the thread title. Recently I am witnessing that all the threads with curly brackets in the title are not loading. I am posting some links here to check yourself. Of these 2 done....one not getting edited..
आज का ज्ञान ........ सब चूतिये हैं ! Originally Posted by ! Stud ! I am not able to see my own post after posting it successfully. Facing this problem since last few weeks. Last post by Neha1 is displayed but nothing is visible. All times are GMT +5. The time now is 07:29 AM.